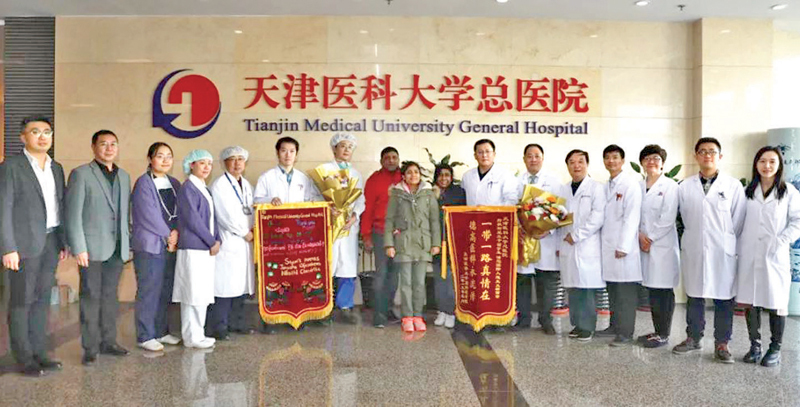 On the morning of December 4, 2018, the Sri Lankan international student of the International School of Medicine, who was internship at Zhangzhou Central Hospital, was nausea and vomiting to the emergency department of the hospital. As a result of hypertension, heart failure, acute pulmonary edema, elevated myocardial enzymes, dyspnea and other symptoms, heart rate up to 150 times / minute, blood pressure reached 220 / 150mmHg, CT diagnosis of the right side right adrenal gland Tumor, pheochromocytoma, the situation is extremely critical, at any time will be life-threatening. In the subsequent rescue process of the two places and nearly one month, a life-saving theme has become the theme of the New Year’s life. “Shuang Youli, we stay with you, live” is the strongest voice in this life battle. Let’s go back to the scene of memory, in every note of the dense medical record, pay attention to the countless moments that have been there. When the time returned to that day, after the joint consultation and full rescue of the directors of the Department of Urology, Cardiology, and Endocrinology, the director of the Chuzhou Central Hospital, Xu Youli was initially diagnosed as high due to pheochromocytoma. Blood pressure and heart failure, the condition is slightly relieved. On the morning of the 5th, the condition of Shen Youli suddenly deteriorated, and the heart rate was once 160 times/minute, which was life-threatening at any time. After learning the news, the school’s party and government leaders and leaders in charge of the emergency consultation, asked to go all out to treat the students, Jinji medical experts work together, and work together to do everything possible to start treatment. 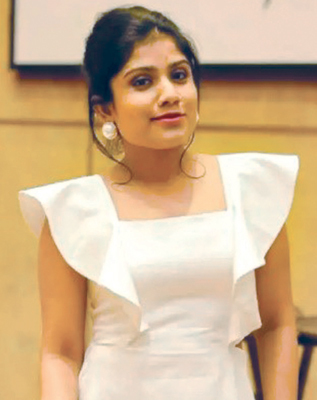 Subsequently, the responsible medical comrades of the International Medical College were immediately convened to discuss the treatment plan, and the directors of the Department of Cardiology, Endocrinology, and ICU of the General Hospital were instructed to cooperate and ready to leave. The team of medical experts from the general hospital immediately rushed to Ganzhou. Some doctors did not bring ID cards, did not wear cotton coats, and some doctors did not even have to replace the surgical gowns. Facing the winter snow, the experts from the Chuzhou Central Hospital and the General Hospital discussed the medical records and determined the treatment plan. After the ventilator support treatment, fluid replacement, combined with receptor block multi-organ support treatment, the condition was controlled, the condition slowly improved, the heart rate dropped to 110 times / minute, the blood pressure was also stable at 110 /68 mmhg. In order to prevent accidents, the director of the Department of Cardiology of the General Hospital of the General Hospital sat in front of Sanyouli’s bed for the whole night. Outside the ward, quietly waiting for the International Medical College Dean Han Wei and San Youli’s class teacher Zhao Lin. At the same time, the International Medical College first contacted the parents of Sri Lanka in the Sri Lanka to inform the patient about the condition and help contact the Chinese Embassy in Sri Lanka to apply for a parent visa, so that the parents can reach the Zhangzhou Central Hospital as soon as possible. Their sufferings and mourning’s thousands of miles away finally have a real landing in the window gaze outside the intensive care unit. Two days later, the condition of San Youli gradually stabilized. After the evaluation of the experts of the two hospitals, the conditions for transfer were met. Due to the special condition, the school actively contacted the 120 emergency center to install a micro pump and ventilator in the ambulance. The emergency doctors of the Chuzhou Central Hospital and the teachers of the International Medical College will send the scattered excellent to the intensive care unit of the General Hospital, followed by tracheal extubating to achieve spontaneous breathing. On December 19th, in the conference room of the intensive care unit of the General Hospital, Li Hui, director of the hospital’s medical department, and ICU, urology, cardiology, endocrinology and other department directors, scattered the parents and students to study the surgical treatment program. After active treatment by ICU, Shengyouli’s preoperative vital signs were stable, heart rate was controlled within 90 beats/min, and blood pressure was controlled at 110/70mmHg. A few days later, the director of the Department of Urology and his team performed a retroperitoneal laparoscopic right adrenal pheochromocytoma resection. The intraoperative exploration revealed that the tumor was about 10x10cm in size, with abundant surface blood vessels, and kidney and kidney vessels. The relationship is close and the operation is extremely difficult. In the process of separation, try to achieve gentle separation and reduce the compression of the tumor, but during the resection, the blood pressure still fluctuates significantly, up to 180/110mmHg. At present, the blood pressure of 117 is about 117/75mmHg, and the vital signs are stable and recover well.